An abstract painter from Waverly, Tenn., Perkins studied at Hume-Fogg High School, Vanderbilt University and the Art Institute of Chicago. In 1932, he moved to Paris and studied with Jean Marchaud, Louis Marcoussis and Fernand Léger. In 1934 he exhibited at the Salon d’Automne and the Salon des Tuilleries in Paris. His earlier work was nature-focused, based on strict principles of observation. 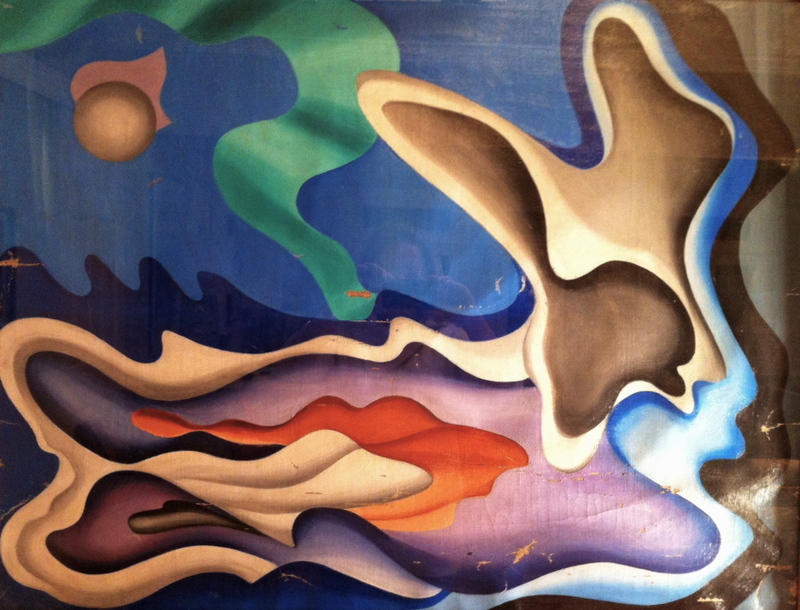 Returning to New York City in 1940, he shared a studio with Surrealist artist Yves Tanguy until around 1945. In this time he adopted a Cubist-influenced style, characterized by deep colors and shaded geometric forms. In 1947 he participated in the International Surrealist Exhibition, Galerie Maeght, Paris. Perkins returned to Nashville in 1948 and taught at University of Tennessee’s Extension School until 1953. He received a two-year fellowship from the School of International Painting in Sergovia, Spain, and lived, painted and exhibited in Spain and on the Isle of Ibiza for four years. During the fifties, his work became more abstract expressionist, characterized by spontaneous brush strokes. In that decade he began a series of religious work in a semi-abstract style. Perkins returned to Paris to live and paint in 1959 only to return to Nashville again two years later. He died in Nashville in 1970. The paintings on this site were purchased from his friend Ron King, owner of Lyzon Gallery, in whose guest house Perkins lived at the time of his death.